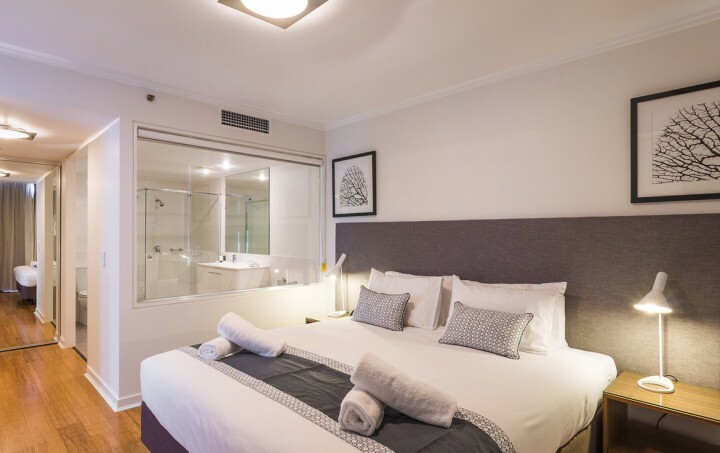 Beautifully designed, Freshwater Point Resort is conveniently only 15 minutes walk to shops and beach. 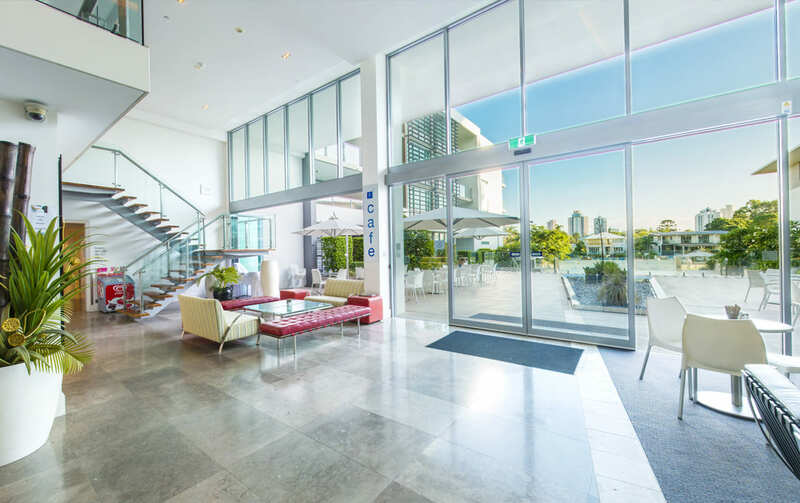 Perfect for Gold Coast holidays as well as delegates attending the adjoining Gold Coast Convention Centre, Freshwater Point will definitely impress all. 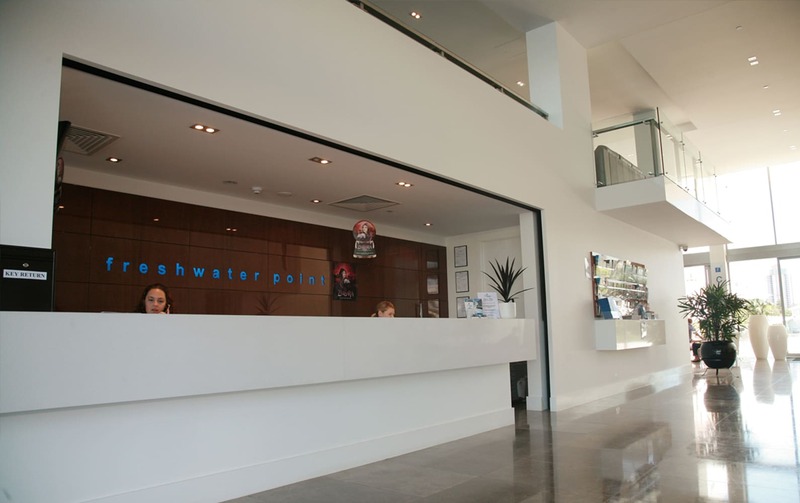 With stylish accommodation and perfect waterfront views, Freshwater Point offers an onsite Café, gym, heated pools, media room, meeting facilities and state of the art security. 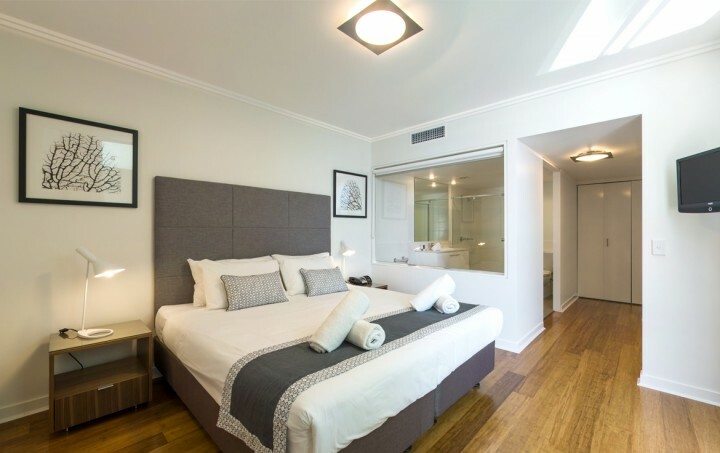 Apartments at Freshwater Point are large with separate bedrooms, large bathroom with small laundry tucked away. Internet: Free Wi-Fi up to 200MB per device per day is available by connecting to Ultiqa Resorts Wi-Fi network; should guests use up their free data allowance, they may pay for additional data via the Ultiqa Wi-Fi payment portal. The Resort: Heated outdoor swimming pool, children’s wading pool, heated spa pool, gym, sauna, steam room, café, barbecue areas, fishing jetty, secure parking. 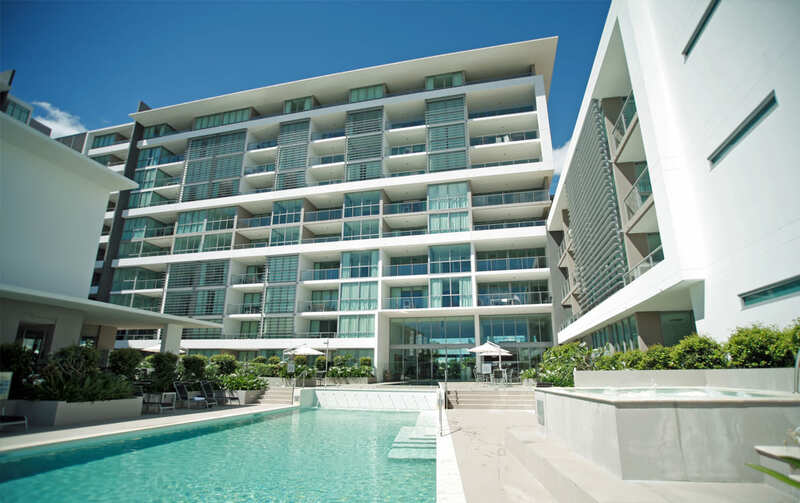 No Restaurant located in the resort, restaurants are located at Broadbeach approx a 15min walk away. 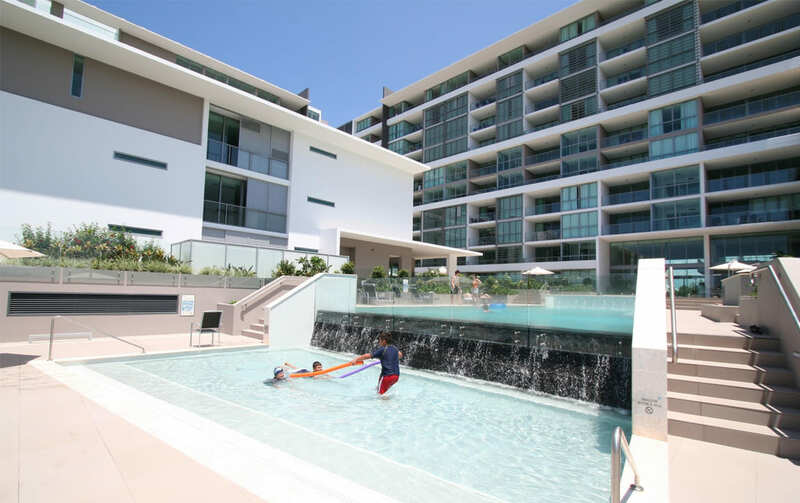 The resort is located approximately 35 minutes drive from the Gold Coast Airport. Pacific Fair, Oasis and Niecon Plaza shopping centre are located within walking distance. 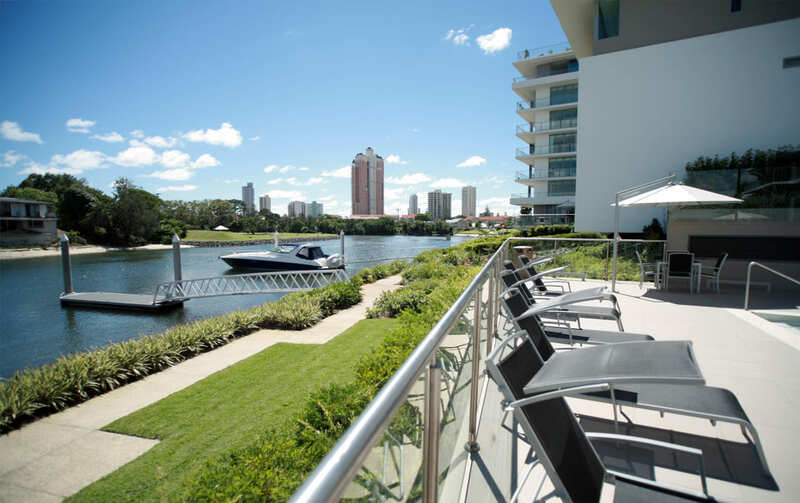 Mention the Gold Coast region and various images come to mind… stunning beaches, exciting theme parks, sun-kissed locals, sophisticated style, the list goes on. The Gold Coast truly offers something for everyone. It’s a holiday destination of wonderful contrasts. From the sophistication of Main Beach, the glamour of Surfers Paradise, to the quiet beachside towns and World Heritage listed rainforests of the hinterland… the Gold Coast is teeming with holiday options. Add this to the non-stop energy of the theme parks and a 70 km coastline with more than 40 patrolled beaches, and you’ve got an idyllic holiday destination. 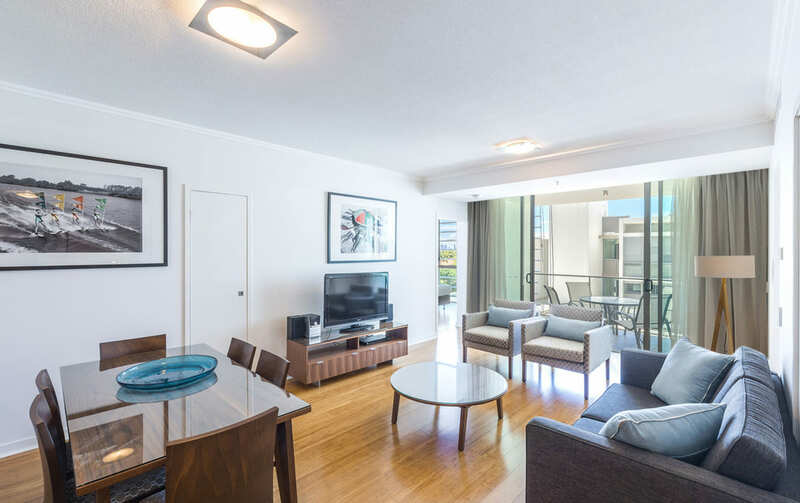 The beachfront esplanades of Surfers Paradise, Burleigh Heads and Coolangatta invite you to sit back, relax and soak up the holiday atmosphere. While on the Gold Coast hinterland, you’ll feel as though you’re miles away from everything. Explore quaint mountain villages and natural escapes in the World Heritage listed Central Eastern Rainforest Reserves. So come experience the contagious excitement, glorious weather and natural beauty of the Gold Coast. You’ll want to come back again and again. Full kitchen and full laundry, bathroom (the bathroom is an ensuite bathroom and is only accessible via the main bedroom), private balcony, air-conditioned (reverse cycle), DVD/stereo combo, Foxtel, cots available on request (charges apply), highchairs available on request (charges apply), no rollaways available. Full kitchen and laundry, ensuite in master bedroom (shower and separate bath), main bathroom (shower only), private balcony, air-conditioned (reverse cycle), DVD/stereo combo, Foxtel, cots available on request (charges apply), highchairs available on request (charges apply), no rollaways available.